My previous article, Top Ten Cool Cars, is Speedmonkey's most ever read article and still gets hits daily. To celebrate and bring matters up to date I'm putting together a new article - Top Ten Cool Cars on Sale Today. I asked that question on Twitter earlier and got some decent responses. All the contenders so far are listed below. What makes a cool car? That's a very subjective question, which is why the Top Ten Cool Cars article came from readers votes (which I'll then use the power of veto on! ), and so will this. Let me know in the comments section below, on Twitter, Facebook or Opposite Lock what get your vote as todays coolest cars. 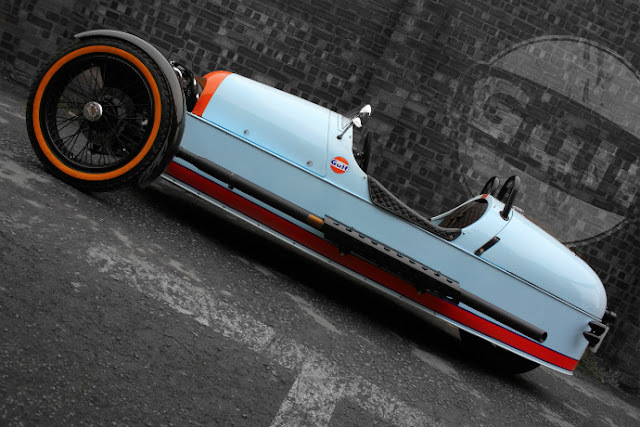 The only one I'm putting my foot down with is the Morgan 3-Wheeler which is undisputedly cool, even if it's so small that male occupants have to perform an F1 driver-style 'scoop' before they get in it.